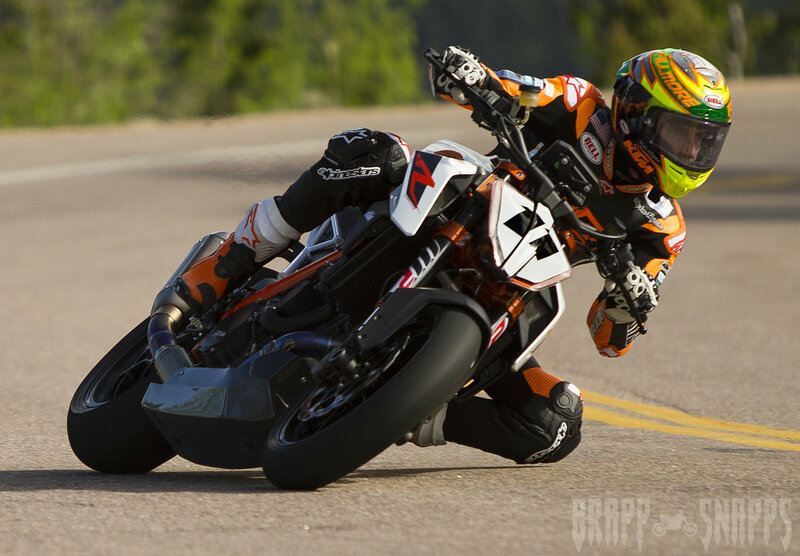 KTM 1290 SuperDuke R Wins Pikes Peak HillClimb in Fastest Bike Time Ever! 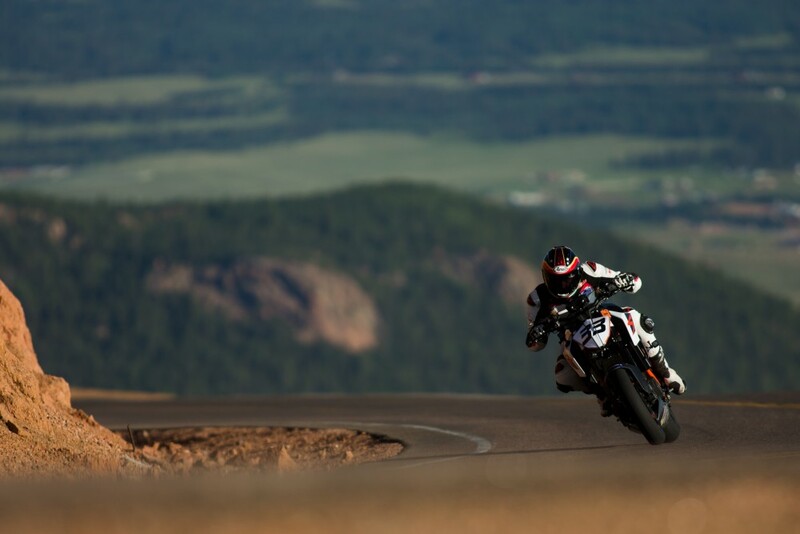 You are here: Home › KTM 1290 SuperDuke R Wins Pikes Peak HillClimb in Fastest Bike Time Ever! USAâ€™s Chris Fillmore and Aussie Rennie Scaysbrook finished first and second on KTMâ€™s new 1290 SuperDuke R models, conquering the historic Pikes Peak 20 klms course in record time.Â KTM rider Fillmore set the fastest time ever for a motorcycle with an incredible 9:49.625. Australian amateur Rennie Scaysbrook joined the exclusive 9-minute club with a 9:57.712, third fastest time ever up the mountain. Riding for Cyclenews, it was Rennieâ€™s second attempt on Pikes Peak after crashing out last year whilst leading. previous post: ITS TAX TIME! DOES YOUR SMALL BUSINESS NEED A NEW MOTORCYCLE?